Not yet confirmed but it looks like Craig Brown is on his way to Aberdeen after all. After saying "no" at first it now looks like persistence has paid off for Stewart Milne and the Aberdeen board. What you might call a ginormous kick in the nads for Motherwell, who lose a second manager to Aberdeen in as many as years. I'm sure many 'Well fans wish Brown and his assistant all the success that Mark McGhee enjoyed at Pittodrie. 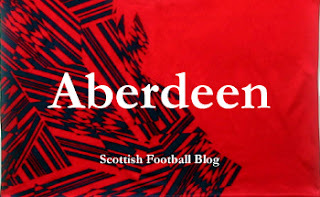 What do Aberdeen gain? At first glance it looks like an appointment aimed more at steadying the ship in the here and now than securing a glorious future. Brown is, after all, now 70. His assistant, Archie Knox, is 63. But at Motherwell they've shown themselves capable of getting a lot from a small squad, accepting budget constraints and finding loan deals for decent young players. They'll need to do all of that at Aberdeen. Their most immediate task will be organising a squad that is capable of collapsing to such an extent that they can lose nine goals. Probably not a desperately bad squad, not a great one, but not one that should be losing nine goals. Some players will need a kick up the arse. Some will need a bit of a cuddle. All need confidence. Grandpaw Broon and Uncle Erchie will need all their man management skills. And I really believe they have a chance of pulling it off. I've not always been a huge fan of Craig Brown. In fact I'd once got out of my seat ready to dash across the pitch and challenge him about some some decisions he'd made as Scotland manager before I decided I'd probably drunk too many pints to out sprint the stewards. Sadly hindsight now suggests that Brown was working miracles all along with Scotland. And with the national side he proved that he could organise and inspire a team to be greater than the sum of its parts. What other candidate offered Aberdeen that? I am surprised that Brown and Knox seem set to accept. I thought Motherwell was a good fit for them and they seem to have been relishing the challenge. We'll hear a lot in the next few days about restoring Aberdeen to their rightful place in Scottish football - and Archie Knox was there when the Dons won the Cup Winner's Cup. Wherever that rightful place is, and we could debate that for that days, it's certainly not 11th place in the SPL. Former glories might be beyond Aberdeen - restoring some pride certainly should not be. So it seems that two old dogs haven't been able to resist the lure of one more big challenge. It won't be easy. The ideal for Aberdeen is that they get club back on an even footing over the next couple of seasons. They might also be charged with training someone from within the club to take over as manager when the time comes. That will be the plan. As I say, it won't be easy. But I've found something refreshing about watching Brown's reinvention as an SPL club manager. He's taking a lot of experience to Pittodrie. He'll need it all. And, having watched McGhee pass through stages of denial and belligerence over the past few months, it will at least be fun to see a septuagenarian bring some enthusiasm to the job.